Heat oven to 400°F. Grease 12-inch pizza pan. Unroll dough; place on greased pan. Starting at center, press out dough to edge of pan. Bake 10 to 12 minutes or until crust begins to brown. Spread dressing over crust. Top with turkey, spinach, tomatoes, onion, Italian seasoning and cheese. Bake an additional 10 to 12 minutes or until cheese is melted and crust is golden brown. 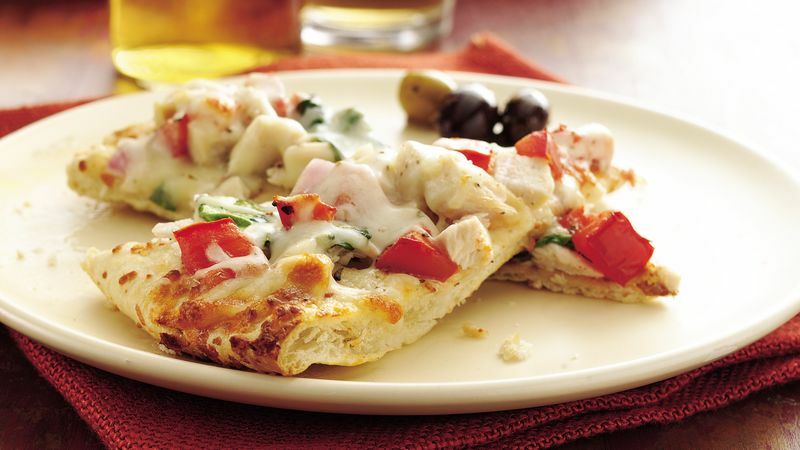 Shredded or cubed cooked chicken can also be used on this flavorful pizza.